Be Prepared to Have SitSpot Envy! Home ORGANIZATIONClassroomBe Prepared to Have SitSpot Envy! Then I couldn’t take it anymore. That foam gets VERY dirty. The kiddos break off pieces of it. It’s bothersome to put away and store each summer so the carpet underneath can get cleaned. Frankly, I just found it gross. And uhm… it doesn’t match my room! So I got rid of it. I haven’t had a rug of any kind in my “rug area” for many years. I REALLY wanted a gorgeous rug for the kiddos to sit on when we met on the floor. I found a lot that I loved, but I absolutely HATED the price tags. AND… I worried about how filthy it would get. Then I saw a few blogging teachers using colorful duct tape to note sitting spots for their kiddos. That was something I thought I could do. I simply cut circles out of sheets of duct tape. Then I took it off at the end of the year because the edges of the tape looked a little ratty and they needed to be replaced before the new year started. AND removing that tape was NOT easy! 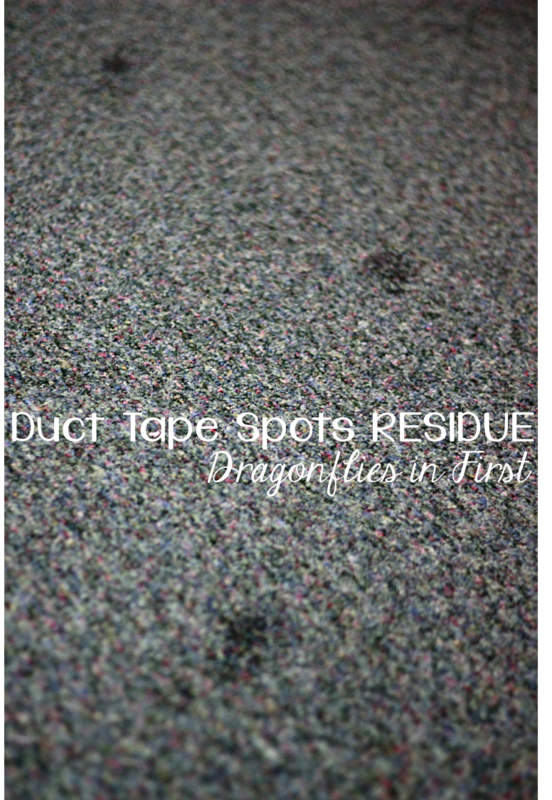 But after the carpets were cleaned, there was a non-removable stain where the sticky residue left by the tape absorbed dirt. It looked horrible. I panicked. I was permanently ruining my classroom carpet! So I ditched the duct tape idea and didn’t use it again. The problem with 1st graders not having a defined area in which to sit is that they spread out… FAR. So when we gathered on the “rug area” (that’s what I call it)… they were back by my desk, under tables and …well just spread wide. It bothered me. Actually, it drove me NUTS! So I was back on the search for a fabulous, affordable rug that matched my room and was large enough for 30+ bodies! I found some – but not within my price range! Not even close! And I was still a little freaked about how dirty it would get. 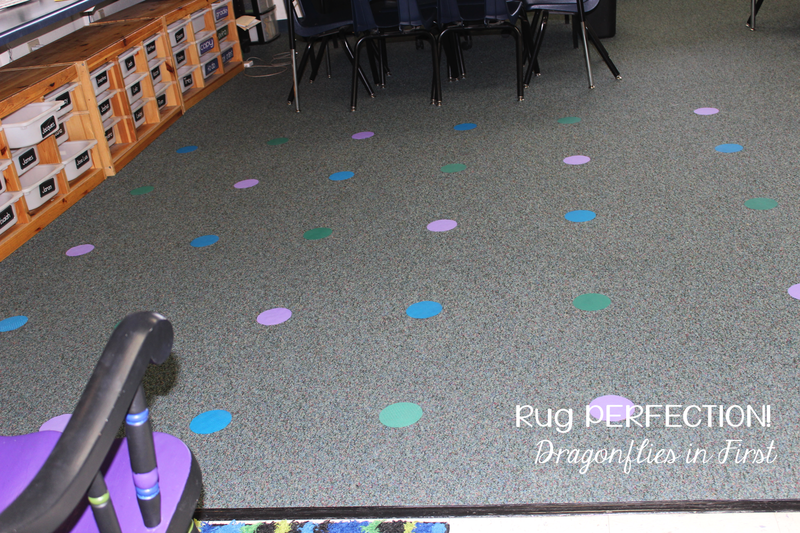 Then I presented at the Southern California Kindergarten Conference and found little removable spots under my feet. They were adorable. And everywhere! I was intrigued…so I followed them to this booth. Of course my first thought was “WORD WALK!!! This will be so FUN!”. Then I saw the colors! 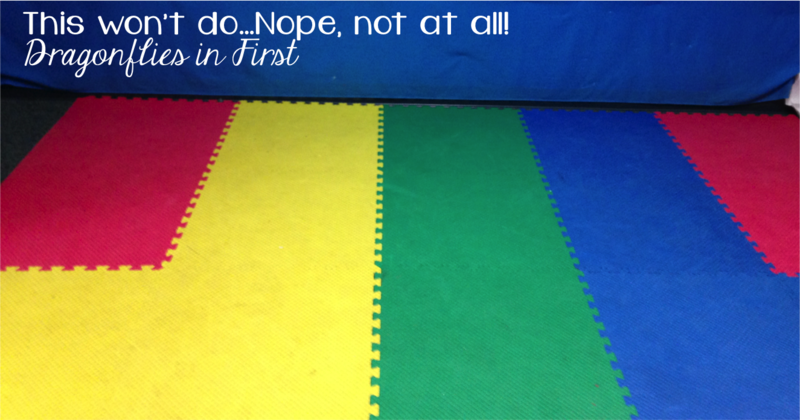 And not just MY colors…TONS of colors… a virtual cornucopia of floor sticking teacher pleasing fun! You guys… the colors are ENDLESS! There was something there for everyone. All kinds of shapes. Well it was just amazing. 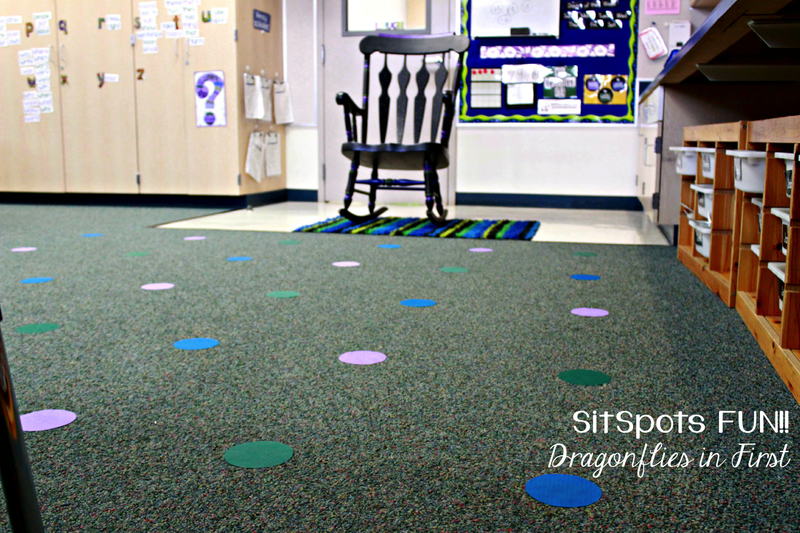 The fabulous kindergarten TEACHER who developed these SitSpots, Joyce, is BRILLIANT! What a fantastic answer to a costly problem. They are MACHINE WASHABLE and DRYABLE (apparently not a word), easily removed from and stuck to that industrial classroom carpet, leave no residue whatsoever, lie completely flat, do not curl up on the edges, and I think they are going to last and last. I’ve written on them with Vis-a-Vis and was able to remove all but the slightest hint of the ink with nothing but water! 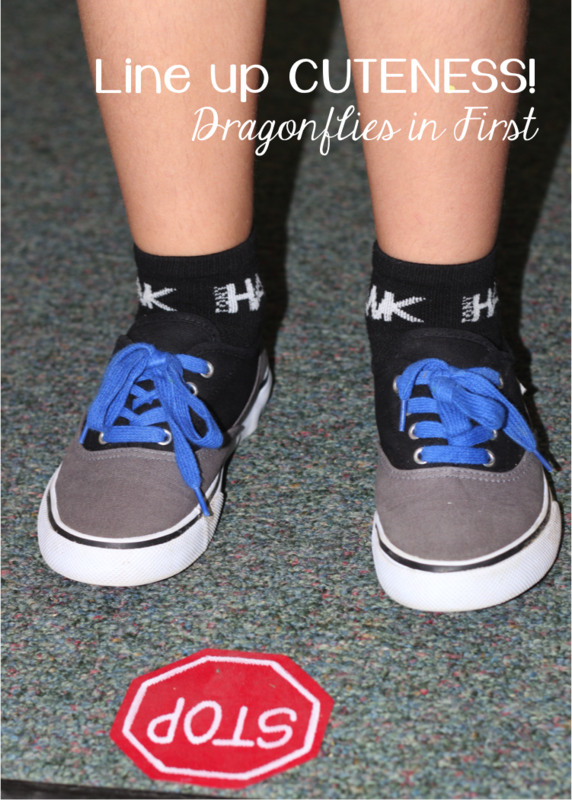 You can write on them permanently with Sharpie and Paint Pens … a perfect way to use them for a sight word walk. Or a line up spot…. But for me, they happily turned my “head on over to the rug area” command, to “head on over to the SPOTS!” and I could not be happier!!! I am seriously obsessed with these things! Seriously AH-MAZ-ING!!! I LOVE LOVE LOVE my SPOT area! LOVE IT! All of us CaliGals LOVED these so much we could not wait to come back and blog about them. We knew you HAD to know about how incredible these things are. We could not stop talking about all the ways we could use them. We were all beyond obsessed. So we begged Joyce over at SitSpots to let us share them with you and she graciously agreed!!!! In fact, she is generously letting us all give away a class set of 32 … EACH OF US are giving away a set!!! Did I mention how much we love Joyce? 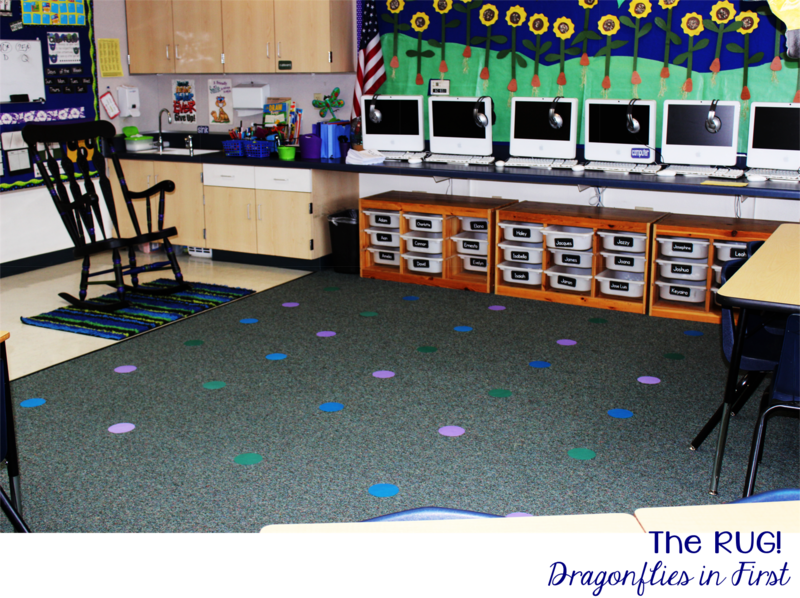 Read on to find out more details on how YOU can win a set of SitSpots for your classroom! 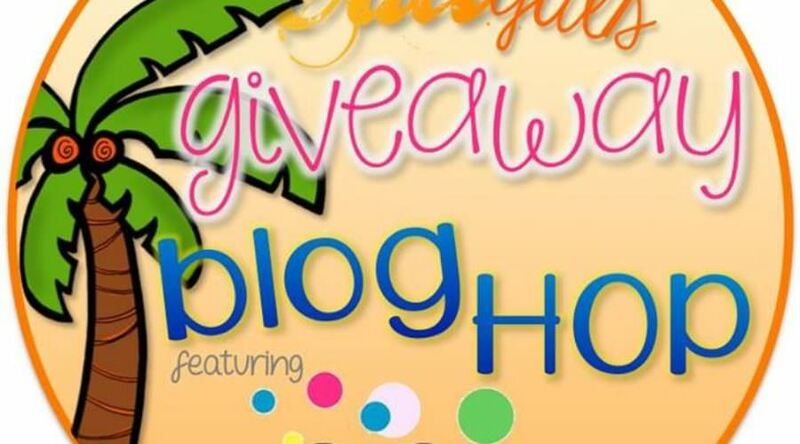 Nine of us Cali Gals have teamed up with SitSpots to bring you a SitSpots Blog Hop and GIVEAWAY! For your chance to win, you must complete the Rafflecopter and leave a comment on all 9 of our blogs. You will have 21 chances to win! Plus, the winner will be announced on Monday, March 17th ~ St. Patrick’s Day & my birthday! You can’t get any luckier than that! With dozens of designs to choose from, you’ll have a ton of fun spotting up your classroom space just like us! Don’t want to wait to see if you’re one of the lucky 9? SitSpots has a deal just for you! Enter Coupon Code CALIGALS14 during checkout on their site and save 25% OFF your purchase! This offer expires March 31, 2014. 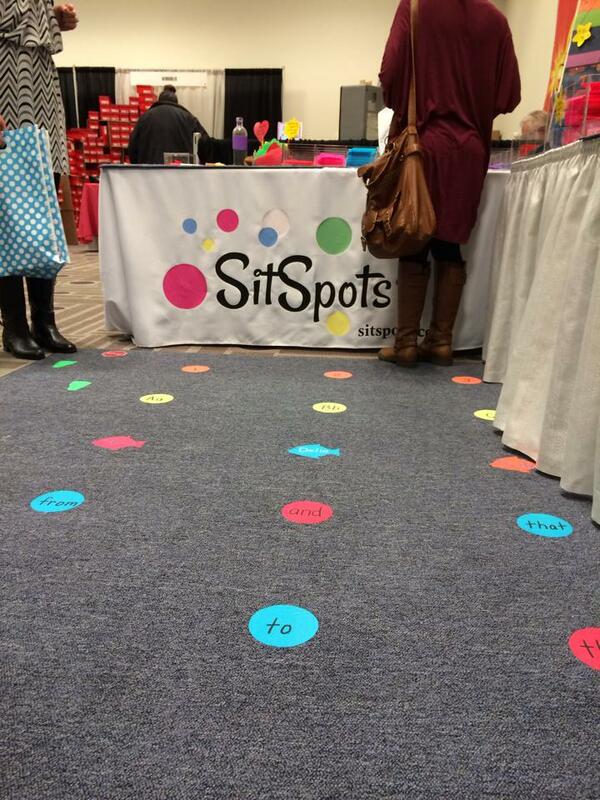 Still not sure if SitSpots is for you? 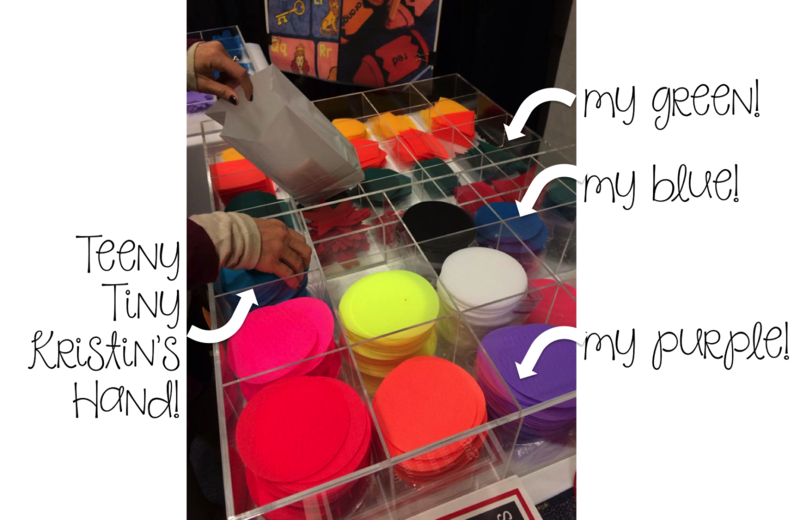 SitSpots offers a FREE sample before you purchase. Just head to their site to request your complimentary SitSpots today! Be sure to click the link at the end of each post to hop to the next CaliGal and see another SitSpot-sational idea! to see her SitSpots in action but don’t forget to leave leave a comment to win before you go! Are your “wheels” turning? How would YOU use SitSpots in your room? I would love this instead of my carpet!! I have 24 little kinders and they do not fit comfortably on my small carpet. This would be a great way to space them out but still keep them in a controlled area for carpet time! Love this! Curious if they can be vacuumed over? YES! They absolutely can be vacuumed over! I love these Sit Spots! I ordered a sample a while ago and love it! I would love to have a class set! My sport spring break spot is hanging out at the beach in Tampa Bay area of Florida because of the beautiful sunshine and mama and papa restaurants. So cute! I have been looking for something like this and I love all the color choices! Love these! I saw them last year! As for Spring Break – it's still a month away for me, so I'm not thinking of it yet. At least, trying not to! So cool. I can think of a million ways to use these. As for spring break, I like in Florida so it is always spring break as far as weather goes. I use my spring break to do spring cleaning. Wow! These are very, very cool! My ideal Spring Break would be someplace warm up in the mountains with a good book. I would love to take long walks and go fishing every chance I could! Maybe I will make that happen this Spring Break! It's only 2 weeks away!! These look great! Hopefully I'll have spring break and won't lose it all to snow days – lost 1 day today. I just want to enjoy spring weather. Your room looks SUPER pretty ! Love these! My spring break spot will be in my favorite comfy chair catching up on my reading. Love these and the colors! Spring Break on a warm beach sounds great as we are having our 10th snow day! I would love to win a set of these Sit Spots! I am a track coach so my favorite place to go for spring break is the track! I have my sample from the conference to try out. What a great creation! OMG I NEED you to write "stop" on my stop sign for me!!!!!!! I ordered the sample and would love to win a set!! These sit spots are fabulous! I would love a set! I am a track coach so my favorite place to go over spring break is to the track! My spring break spot would be somewhere on a beach but unfortunately I'll be at home. These sit spots are AMAZING and so colorful! My favorite Spring vacation spot it typically my patio or my couch. I don't travel as much as I would like but if I could it would definitely be to some place warm and sunny! Love all the color choices! Can't believe this product! Sounds too good to be true. Thanks for this great opportunity. I teach kg. so that will be a good test for these. My favorite Spring Break spot is right at home. I do live in Florida though. So glad to have seen these Sit Spot posts on yet ANOTHER snow day! Oh, my word! Snow day #12 here :(. This brightened my day. Spring break on a beach sounds good to me! I'd love to be the winner of this set. My favorite spring break spot is Clearwater Beach, FL. . . it's right on the gulf and oh so perfect! We don't get a spring break but I will say Florida! My comfy chair with a pile of books next to it! Still snow and mud here at that time. These would be so amazing to have. Next year I will be a first year teacher at a private school and they do not have the money to afford carpets for each classroom. These would be so perfect. I would absolutely love to win this gift. Oh, and Spring Break….definitely Florida. I need sit spots in my classroom!! I am going to Mexico for spring break!! Can't wait!! I went to Antigua a few years ago on spring break and it was AMAZING! This year I just want to be somewhere warm after this horrible winter! I love to go to Florida for Spring Break and get in some beach time! Staying at home with the boys in good ole' Wisconsin. Love these! Would love to have a set! I'll be staying home this Spring Break! Love this idea! Great colors. Favorite spring break spot is the Texas Hill country, hiking and camping with my 5 boys and fabulous hubby! Perfect timing as I have to give back my borrowed carpet at the end of this year! This will actually fit all of my kids and the washable factor is irresistible!! [email protected]. My favorite spring break spot is wherever my family is…either hiking in the Sierras or relaxing on the couch. Even a day of snow boarding at Heavenly if we still have snow is great! 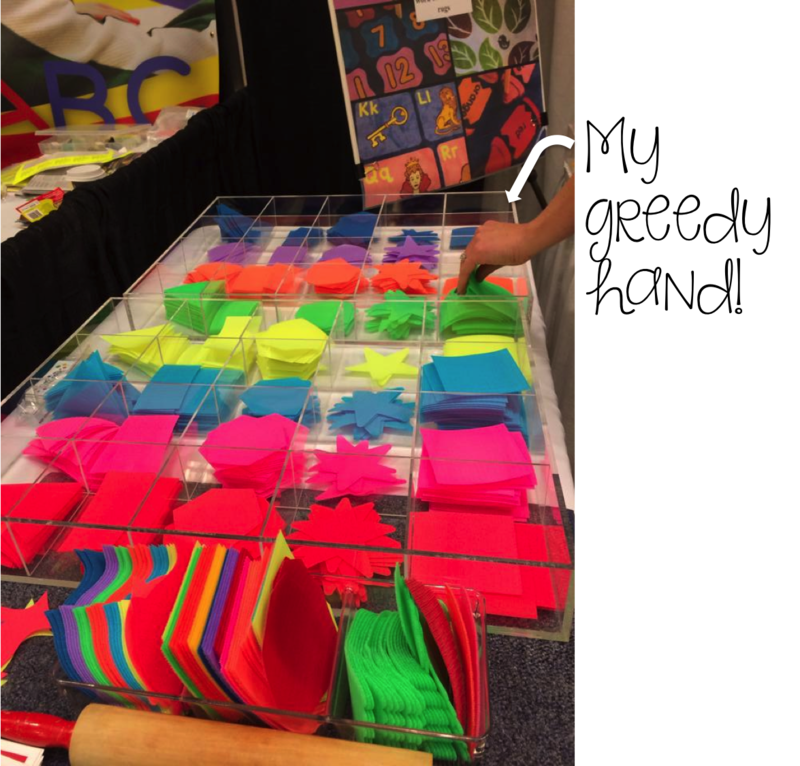 Love this idea and love all the color/shape options!! Spring break will be a short one this year…too many snow days! My favorite spring break spot it my house! I love being able to sit around and relax! My favorite spring break spot is Maui. These look wonderful!!! So many uses!!!! My favorite Spring Break place (or pre Spring Break depending on when it falls) is Savannah for St. Patrick's Day. We go every year and it's always so much fun! These are amazing. I saw them at the conference but was too overwhelmed with all the great ideas I guess. Would love to have these in my roomas my carpet area is so small and the kids are always on top of each other! Sit Spots look like a ton of fun! I have the same problem with the duct tape ruining the carpet. This is a perfect solution! Anywhere I can get a tan! I'd love to have a class set to use for lining up. Thanks for the chance to win! A warm, tropical beach that is preferably quiet!! Can't tell you hoe much I love these. I have a set for my students to line up and I am craving another set for my carpet time. They are awesome! My fave place is a nice cold pool on a hot hot day. i love the stop sign! Spring Break – somewhere quiet and peaceful! My favorite Spring Break spot would probably be any beach with white sand and beautiful, clear water! Oh my gosh, these can be vaccumed over?! How incredible! Love the spots! I prefer to be home for Spring Break! Love them! We went to sunny Arizona for part of spring break! My favorite spot is at home with my family and fur babies. Relaxing and playing. I love spending my Spring Break at the beach watching my kids play. 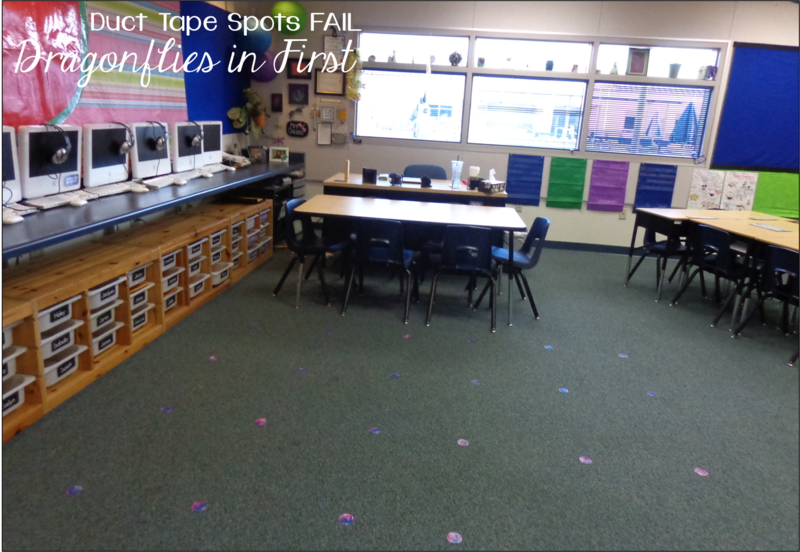 Our custodian doesn't like when we use tape on the carpet… SitSpots are a great solution! Want these so much!! so many cute ideas!! I love these. I really want my own set! I would love to have a set of these! These look amazing! Already ordered a sample to see if they'll work on my carpet! And I love anywhere with less snow than here in Minnesota! Spring Break: St. Augustine, Florida! Cool Teacher Idea: Sit Spots!! Spring Break – my house/yard, NOT commuting! Love these spots! My favorite place for a break is anywhere on the California or Oregon Coast. I love to visit anywhere hot but the Caribbean would be my favorite!!! The beach! any beach! Love the spots!!!! Love these Sit Spots! What a cute and useful idea! Spring Break to me would be anywhere that has sun, surf, sand, and lot of warmth. Love these! My Spring Break would be anywhere without snow! So adorable! These would be so nice! These are cool! I would love to have them in my classroom!!! I can't wait to get me a set of these amazing little things! I absolutely love this! 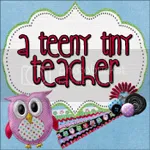 I am currently a student teacher and will be a first year teacher this coming fall in Texas. I am starting to collect "classroom stuff" now so that I am not running around like a chicken with its head cut off during August .. well, at least not as much! 🙂 These are a must have! Wow! This product looks great! So awesome! A must have! My favorite spring break spot is Mexico!